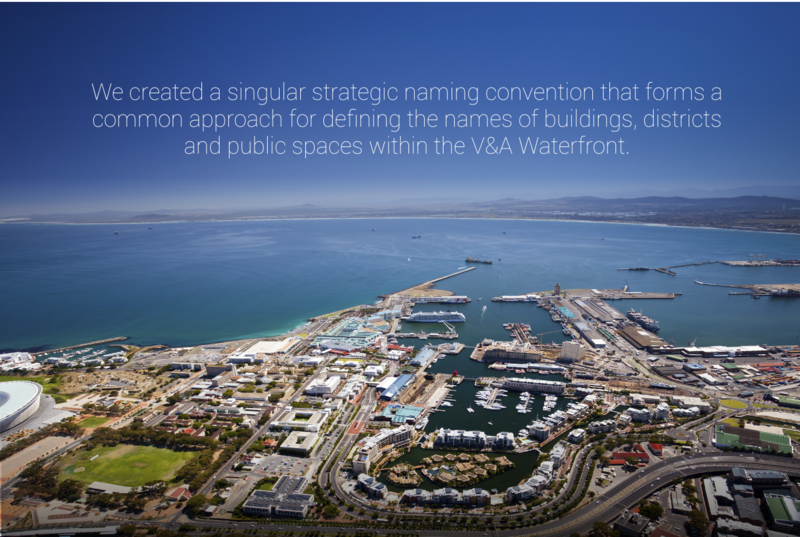 Since the developers broke ground over 25 years ago, the V&A Waterfront has evolved from a shopping centre located in a working harbour to one of Cape Town’s most popular and unique destinations. 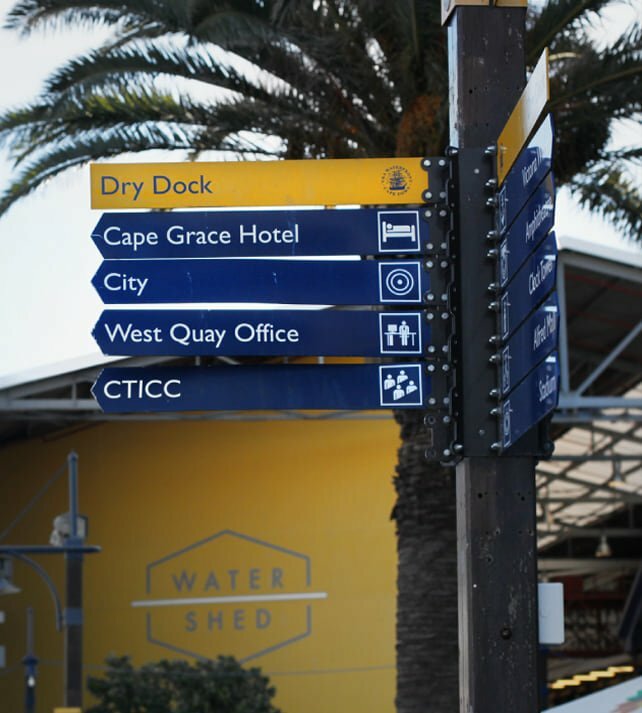 The organisation lives its vision to be the best waterfront development in the world by offering visitors everything they need to eat, shop, live, play and stay in the area. 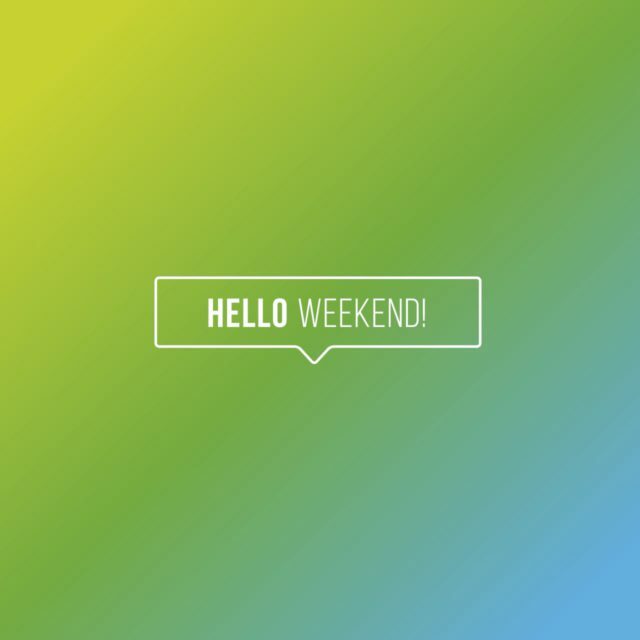 This goal infuses the minds and work of its staff, tenants and service providers. 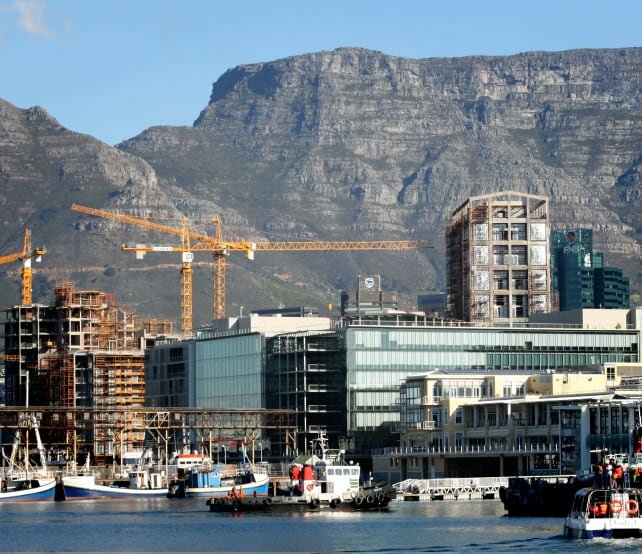 Several new, high profile developments are either currently underway or planned within the V&A Waterfront neighbourhood over the next few years, including the high profile Zeitz Museum of Contemporary African Art (MOCAA), built into the historical grain siloes. 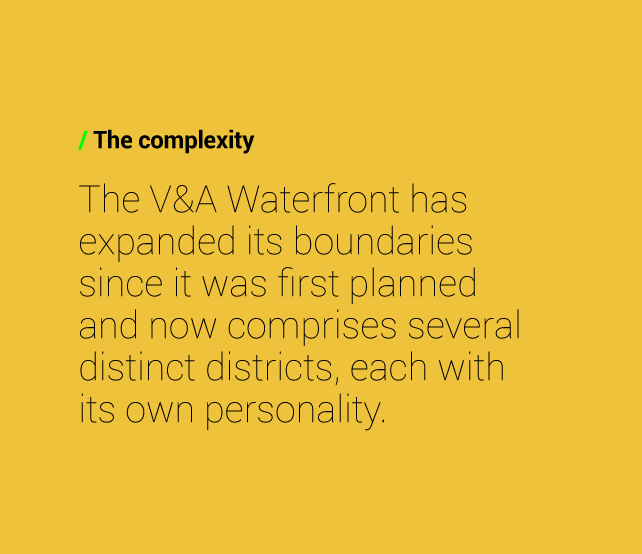 How could the V&A Waterfront instil its hard-earned aspirational brand values into these districts with authenticity? 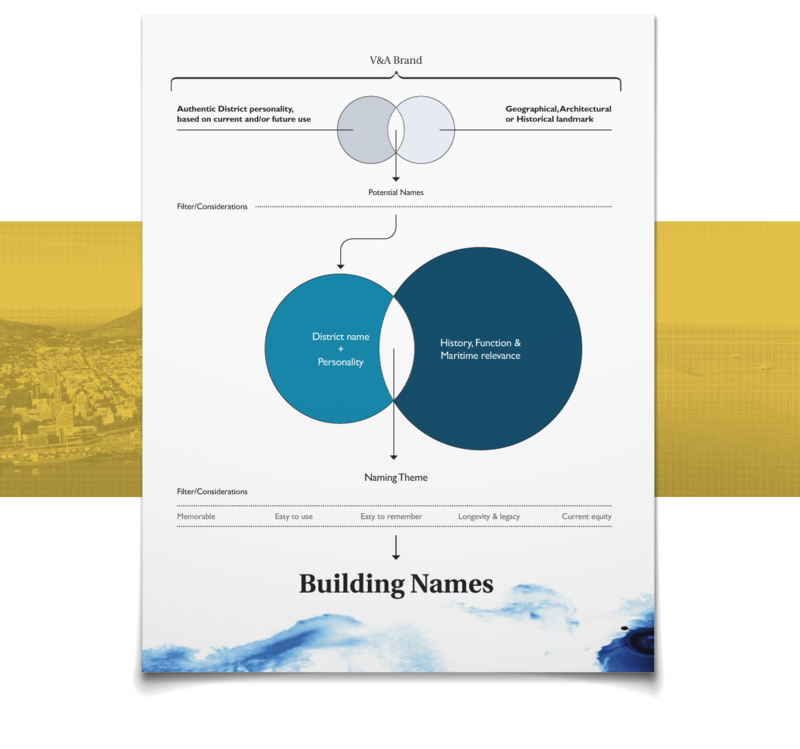 How could the V&A Waterfront present the variety of its offerings and sub-characters in a way that appeals to a new market beyond the traditional V&A Waterfront resident and visitor profile? 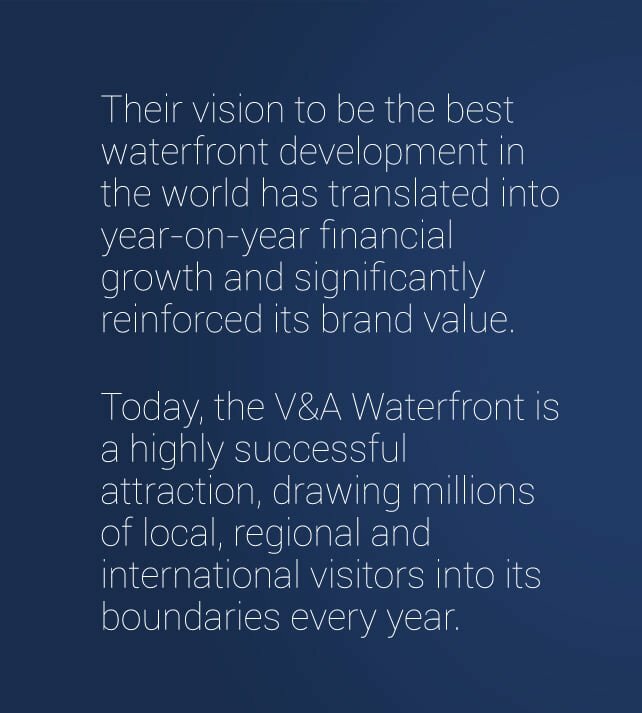 How could the V&A Waterfront broaden its brand appeal, moving away from the narrow association with the Victoria Wharf Shopping Centre, expanding visitor awareness to the many other aspects of its offering? The logical association with building landmarks will provide long-term value for property owners, tenants, and shareholders, and a positive, memorable experience for visitors.